Kim Jong Un’s meeting with Moon Jae-In and the coming summit with Donald Trump do not constitute a volte-face by the North Korean leader. He has consistently sought meetings to find a solution to the nuclear problem, but equally consistently responded with nuclear or missile tests when his diplomatic initiatives are rejected. The recent virtuous cycle began when Moon seized the opportunity of the Winter Olympics in South Korea to create an opening for inter-Korean meetings and Kim reciprocated. Kim has also been consistent in his quest for engagement with the world economy as a strategy of economic development, and steadily taken steps away from his father’s Military First policy toward his Economy First policy. His consistency creates an opening, which Moon effectively used to engage the North to propose a Korean Peninsula free of nuclear weapons and end the state of war. The United States will have a historic choice to make in June when Trump meets Kim in Singapore. Kim Jong Un’s recent moves appear to many a complete reversal of his earlier policy of Byongjin under which his regime went full steam ahead towards developing nuclear weapons and ICBMs. 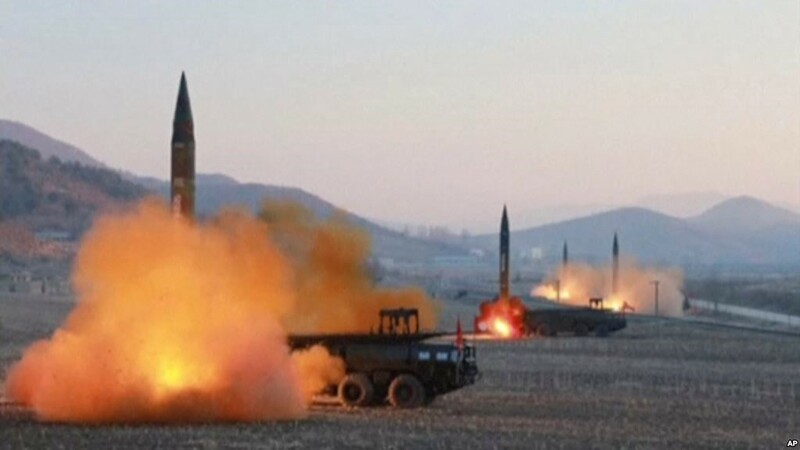 In 2017 alone, Pyongyang conducted ICBM tests and an alleged “hydrogen bomb” test, declared the completion of a strategic nuclear force, and even threatened to annihilate the United States. But all the weapons tests, threats, and hostilities were halted in 2018 when Kim in his New Year’s Address proposed talks with South Korea and sent a high level delegation as well as a team of athletes and artists to the South during the Winter Olympics. His “peace offensive” intensified with an announcement on April 20th that the DPRK would stop testing missiles and nuclear weapons, and culminated in the summit meeting a week later with Moon Jae-In, South Korea’s President, where he agreed to a “complete denuclearization. Why the sudden change? How credible are Kim’s peace overtures this time? Analysts and policymakers have offered a variety of answers. Some argue that Kim changed under pressure of U.S.-led international sanctions that had begun to take a toll on the North’s economy.2 Others believe that Kim is trying to negotiate from a position of strength now that he has acquired nuclear weapons and that he is not likely to give up his trump card.3 It is critical to understand the reasons for change because it is likely to lay a basis for how the world, particularly South Korea, the United States, and China, may respond. Pyongyang made another overture in 2017. Kye Chun Yong, North Korea’s ambassador to India, suggested in a TV interview that his country could freeze its nuclear and missile tests if Americans suspended their military exercises with the South, adding that it was ready to start a dialogue with Washington “at any time and without any precondition.” With this proposal, Pyongyang sweetened its earlier announcement that it was prepared to freeze only its nuclear tests in exchange for freezing the planned U.S.-South Korea military exercise, de facto submitting to Beijing’s proposal of “freeze for freeze.”5 But this too fell on deaf ears as Seoul and Washington turned it down the following day. Each time its proposal was rejected or replied with a military maneuver or a sanction, Pyongyang responded with missile and nuclear tests, exacerbating the vicious cycle between weapons tests and sanctions. The cycle was broken by President Moon in December 2017. In an interview with the American NBC TV, he broke the news that he had proposed to President Trump postponement of the joint US-ROK military exercise until the end of the Pyeongchang Winter Olympics and Paralympics on February 27. The seemingly minor yet politically difficult move – many in the South consider the joint military exercise a sacrosanct foundation of the U.S.-ROK alliance relationship that should not be altered especially as a concession to the North – precipitated a cascade of changes. Kim Jong Un responded positively in less than a week that he would send a delegation and hold a meeting with Seoul. Moon and Trump quickly reciprocated. They agreed in a telephone call on January 4th to postpone the military exercise, with Trump going so far as to state that “America supports President Moon 100 percent.” Kim then sent a special envoy to the South; and Moon reciprocated. A virtuous cycle had begun. The change in the ruling party’s orientation was prepared about a week earlier at the Supreme People’s Assembly. The North’s highest state organ shuffled its top officials on April 11th in ways that provided a stepping stone to the party’s decision. It demoted military officials and promoted diplomats and economic technocrats. 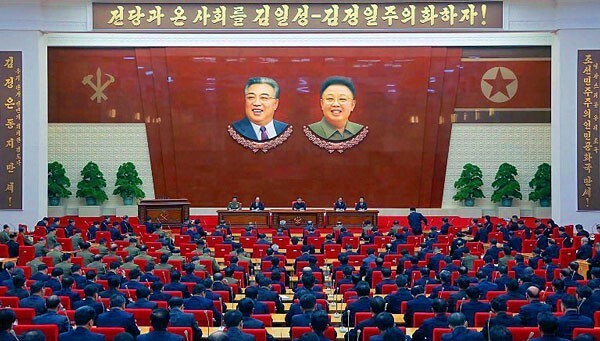 Hwang Pyong So, Political Commissar of the military, was dismissed from the second highest post as Vice Chairman of the State Affairs Commission (SAC), and his successor Kim Jong Gak was appointed only as a member of the SAC. Kim Jong Un had earlier established the SAC to replace the National Defense Commission, the most powerful administrative body during his father’s rule, and now the SAC rid itself of generals from the top positions, leaving Kim Jong Un as Chairman with two civilians as Vice-Chairs. One of them was Choe Ryong Hae, Director of the party’s organization bureau who had restored the party’s control over the military during Kim Jong Un’s initial years. The other, Pak Pong Ju, was a technocrat who rose through the ranks to become Premier of the Cabinet. The change at the top made it clear that the military’s influence in state affairs would be limited, reversing the central role the military had played under the Military First politics of Kim Jong-il. These changes in turn built on earlier developments. Jong Seok Lee, former ROK Reunification Minister and North Korea specialist, observed that it was curious that the North designated Pyongyang’s Gangnam district as an “economic development zone” on December 21, 2017, soon after a series of missile tests and the 6th nuclear test and amidst increasing international sanctions. It appeared irrational that Pyongyang would go to the trouble of creating the zone – the equivalent of a Special Economic Zone whose success would be contingent on foreign investments – precisely when it was most unlikely that outsiders would start investing. The timing made sense, according to Lee, only if the North Korean regime was looking beyond the vicious cycle of weapons tests and sanctions. He interpreted this as a signal that Kim Jong Un wanted to focus more on the economy by trading nuclear weapons for lifting the sanctions so that he might reach his goal of faster development than China and Vietnam.9 The alternative would be to keep the nukes for national security and settle for self-reliant economic development under sanctions, a suboptimal strategy for the North. Behind the blizzard of missile and nuclear tests until last year lurked the young Kim’s consistent movement toward a focus on economic development. Given the consistency in the measures and campaigns Kim Jong Un initiated, it is probably not an overstatement that his priority is economic development predicated on a reduction of military tensions. But what about the missiles and nukes? Kim and his two predecessors have also been consistent in their demand for peace – since at least the 1970s. While it may seem odd to casual observers that Pyongyang has consistently called for peace, it is worthwhile to remember that the U.S. government also has been consistent in at least one of its policies towards North Korea since 1950. President Truman shocked the world, including the North, by announcing at a press conference on November 30th 1950 that he was prepared to use nuclear weapons in Korea, five years after he authorized the use of two atomic bombs against Japan. The U.S. military has since maintained the threat to use nuclear weapons against the North and regularly practiced what it calls a deterrence strategy – the “tailored deterrence” during the Obama administration. That is the source of Pyongyang’s gravest insecurity, one that drove it towards nuclearization. Now that Kim Jong Un has declared that he has acquired nuclear weapons that could threaten the U.S., he is offering a choice. If Washington chooses to maintain the deterrence posture, he too will prioritize mutual deterrence. But if Washington chooses to negotiate for peace, he will trade his nukes for a peace regime under which he could focus on economic development. While the former would be a suboptimal strategy as I argued above, he is likely to settle for it unless he receives credible security assurance. Kim said as much at the inter-Korea summit. South Korean officials added on April 29 that Kim indicated he would take concrete measures to add credence to his words. He, for example, revealed at the summit with Moon Jae-in a plan to invite experts and journalists from the United States and South Korea to witness the dismantling of the nuclear test facilities.22 As soon as he returned to Pyongyang, to take another example of an attempt to reduce frictions with the South, he scrapped Pyongyang time – his 2015 initiative that had created a 30 minutes gap with Seoul time23 – in order to “reunify the time zone.” He also removed from the North-South border the loud speakers that had been used for a war of words, almost as soon as the South did. 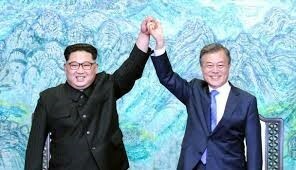 It is notable that the second article of the Panmunjom Declaration commits the two Koreas to “joint efforts to alleviate the acute military tension and practically eliminate the danger of war on the Korean Peninsula,” and the third article to “actively cooperate to establish a permanent and solid peace regime on the Korean Peninsula.” After Moon and Kim agreed to cooperate on “declaring an end to the War, turning the armistice into a peace treaty, and establishing a permanent and solid peace regime,” they confirmed “the common goal of realizing, through complete denuclearization, a nuclear-free Korean Peninsula” in the last clause of the third article. Given that the declaration consists of three articles, its structure makes it clear that the two leaders see Korea’s denuclearization as part of a peace regime. It remains to be seen – “time will tell,” as Trump said – whether a planned Kim-Trump summit in June now scheduled to take place in Singapore will lead to a concrete agreement on Korea’s denuclearization and peace. Kim has at least shown some consistency: he has consistently moved towards the goal of economic development even while developing nuclear capabilities, and has consistently reciprocated with nuclear tests and threats when his proposals for talks have been dismissed or met with “maximum pressure.” It is now up to Trump and the United States to decide whether to take advantage of that consistency. Jae-Jung Suh is Professor of Politics and International Affairs at International Christian University and a specialist on the international relations of the Korean Peninsula. His publications include Origins of North Korea’s Juche and Power, Interest and Identity in Military Alliances. 1 I’d like to thank Mark Selden, Gavan McCormack, Martin Hart-Landsberg and an anonymous reviewer for their helpful comments and suggestions. 2 “Geopolitics Watch: Forecasting the Korean Peninsula Peace and Denuclearization Process,” SinoInsider, April 29, 2018. 3 Mark Landler, “As Two Koreas Talk Peace, Trump’s Bargaining Chips Slip Away,” The New York Times, April 28, 2018. 4 Pyongyang’s departure from the previous demand for the troop withdrawal was also confirmed by President Moon. He announced in a statement on April 19 that North Korea expressed its desire for “complete denuclearization” of the Korean Peninsula and would not be seeking the withdrawal of U.S. troops from the peninsula as a condition for denuclearization. Instead the North would accept security guarantees and an end to what it called the “hostile policy” of the U.S.
5 Pyongyang had previously indicated its willingness to freeze only its nuclear testing in return for the suspension of the U.S.-ROK military exercise whereas Beijing called on it to freeze its nuclear and missile tests in its “freeze-for-freeze” proposal. 6 Suh, JJ. “Half Full or Half Empty? North Korea after the 7th Party Congress.” The Asia Pacific Journal-Japan Focus 14, no. 14 (July 2016). 8 정성장, “북한의 경제-핵 병진노선 폐기 배경과 비핵화에 대한 입장 평가,” 세종논평, No 2018-22 (2018.4.23). 9 이종석, “김정은의 비핵화 의지와 ‘강남경제개발구’,” 한겨레, 2018.3.25. 10 Kim Jong Un also put significant efforts – including a 2014 order to scrap the old plan and redesign the terminal – to renovate the Pyongyang International Airport. The second terminal that opened in 2015 is 5 times as large as the previous one, complete with restaurants and duty-free shops. In March, a month before the inter-Korea summit, Pyongyang requested the International Civil Aviation Organization that it be allowed to open several “trans-regional routes.” This, together with the opening of the Wonsan ski resort among other things, seems to indicate Kim’s interest in bringing in more foreign visitors. “북한, ‘옛청사의 6배’ 평양국제공항 신청사 준공식(사진),” 연합뉴스, 2015.7.2; 변종국, and 천호성. “[단독]北 “해외항로 늘리고 영공 열겠다” 하늘길 제재풀기 나서.” 동아일보, 05.02 2018. 11 These zones seem part of a national development strategy, not a piecemeal response to the needs of the time. See footnote 13 for more. 12 Park, Kyung-Ae and Mark Bennett. “Engaging North Korea with High-Culture Soft Power: Knowledge Sharing with Pyongyang.” Pacific Affairs 87, no. 1 (03, 2014): 29-41. For other educational exchanges between the U.S. and North Korea, see U.S.-DPRK Educational Exchanges: Assessment and Future Strategy, edited by Gi-Wook Shin and Karin J. Lee, The Walter H. Shorenstein Asia-Pacific Research Center, Stanford University, 2011. 13 This of course raises the question of who will benefit most from these changes and how these benefits will be distributed within the society if the North extensively engages world capitalism. It remains to be seen how the North will address such “externalities” as social inequalities and environmental degradation that most post-socialist economies have experienced. 14 Kim has organized a series of meetings designed to strengthen his support at the grassroots, including a Party Cell Secretaries Conference (2013 and 2017), “enthusiasts” conferences in various sectors, youth and women conferences of various age groups, and conferences of foot soldiers like “patrols” and unit leaders. 15 찐저·쉬원지·위즈쌴 (金 哲·徐文吉·于治賢), 중·북경제협력과 북한의 경제발전 전망 (中朝经济与合作朝鲜变革发展展望), 중장기통상전략연구 15-05 (대외경제정책연구원: 2015.12.30), 22. 16 A bunjo is made up of 10~25 farmers whereas a pojeon is comprised only of 3~5. The management committee is responsible for the overall operation of a collective farm, but a pojeon is the smallest unit that carries out farming and allocates income based on its output. Pyongyang organized a national conference of agricultural bunjo chiefs in 2014 for the first time in its history in an effort to accelerate the change nationwide. 정창현, “농업 분조장대회와 포전담당제,” 통일뉴스, 2014.2.3. 17 김헌주. “[단독] 김정은, 집권 초부터 경제法 정비… 경제강국 실현 치밀하게 준비했다.” 서울신문, 05.02 2018. 18 “김정은동지의 노작《김정일애국주의를 구현하여 부강조국건설을 다그치자》 전문,” 조선중앙통신, 2012.8.3. This is the speech that Kim reportedly delivered on July 26th, 2012. 19 ROK government sources, Statistical Office and Bank of Korea, show a 12% growth of the DPRK’s GNI from 2011 to 2016. 2017 북한의 주요통계지표 [Major Statistics Indicators of North Korea], 통계청 [Statistics Korea] (2017.12); and 한국은행 경제통계시스템 [Economic Statistics System], Accessed May 12, 2018. 20 Showing that Kim has published more writings – so-called Kim Jong Un’s Works – on economic policies than any other policy areas, Chin Heegwan argues that Kim prioritizes the economy. 진희관, “북한의 「로작」 용어 등장과정과 김정은 로작 분석,” 북한연구학회보, 21권 2호 (2017), 25-53. 21 Choe, Sang-Hun, “Kim says He’d End North Korea Nuclear Pursuit for U.S. Truce,” The New York Times, April 29, 2018. 22 The DPRK’s Foreign Ministry followed up with an announcement on May 12, 2018 that the nuclear test sites would be dismantled under foreign journalists’ observation between 23rd and 25th of May. 23 The DPRK decided to set UTC+08:30 as its standard time, calling it Pyongyang Time, on August 5, 2015. The decision, which went into effect on the seventieth anniversary of Korea’s liberation, was presented as a break from one of the legacies of Japanese colonialism because it was the Governor General of Korea who set in 1912 Korea’s time zone to UTC+9:00 to align with Japan Standard Time. Kim’s directive to nullify the 2015 decision seems well inline with his emphasis on cooperation with the South and outsiders.